Are you interested in learning more about the exciting career opportunities in Biological Systems Engineering and Agricultural Engineering? We invite you to attend E2-Day 2019. 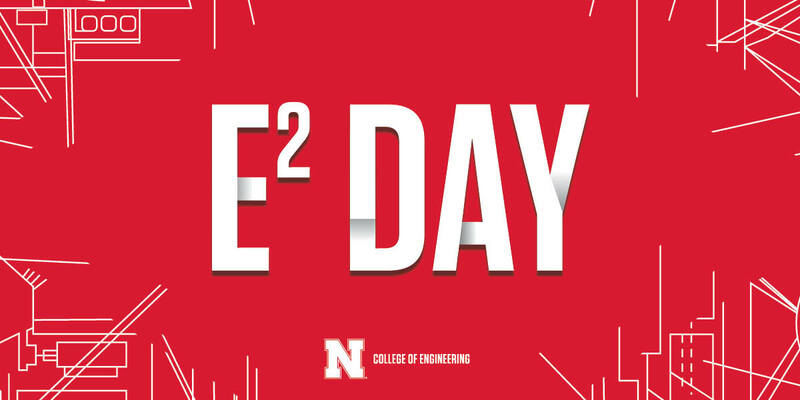 Join our dynamic engineering faculty and students on the University of Nebraska-Lincoln East Campus to participate in hands-on activities and learn about these exciting majors. High school sophomores, juniors and seniors are welcome to visit and participate. Would you like to integrate engineering and medicine, design new biofuels, work in food safety, or solve water resources and environmental issues? Biological Systems Engineers work with biomedical, environmental, water resources, food biological products, and bioenergy issues. Our biomedical engineering program is also a successful avenue for pre-med students. Perhaps you like to work with tools for the environment or are interested in designing and testing powerful equipment. If so, Agricultural Engineering could be for you. Agricultural engineers use the latest technology to advance environmental issues and activities. Students study machine components and equipment, testing agricultural machinery to ensure safety and performance for water and environmental concerns. From the Lincoln Airport: Follow the signs to Cornhusker Highway to 33rd Street. Turn right on 33rd Street. Turn left on Holdrege Street. Enter the campus by turning left on East Campus Loop. Almost immediately, veer left onto 35th Street. Veer right on Fair Street. The parking area is on the left between the Service Building and Mussehl Hall. From the East: Traveling on I-80 West, take exit #405 for 56th Street South. Follow 56th Street to Cornhusker Highway. Turn right on Cornhusker Highway. Turn left on 48th Street. Turn Right on Holdrege Street. Enter campus by turning right on 40th Street. Almost immediately, turn left on East Campus Loop. Turn right on 35th Street. Veer to the right on Fair Street. The parking area is on the left between the Service Building and Mussehl Hall. From the West: Traveling on I-80 East, take exit # 403 for 27th Street South (left). Follow 27th Street to Cornhusker Highway. Turn left on Cornhusker Highway. Turn right on 33rd Street. Turn left on Holdrege Street. Enter the campus by turning left on East Campus Loop. Almost immediately, veer left onto 35th Street. Veer to the right on Fair Street. The parking area is on the left between the Service Building and Mussehl Hall. From the South: Traveling on 1-29 North, take Iowa Exit #10 to Nebraska City. Turn Left on Highway 2. Follow Highway 2 west into Lincoln. Turn right on 48th Street. Follow 48th Street to Holdrege Street. Turn left on Holdrege Street. Enter campus by turning right onto 40th Street. Almost immediately, turn left on East Campus Loop. Turn right on 35th Street. Veer to the right on Fair Street. The parking area is on the left between the Service Building and Mussehl Hall.